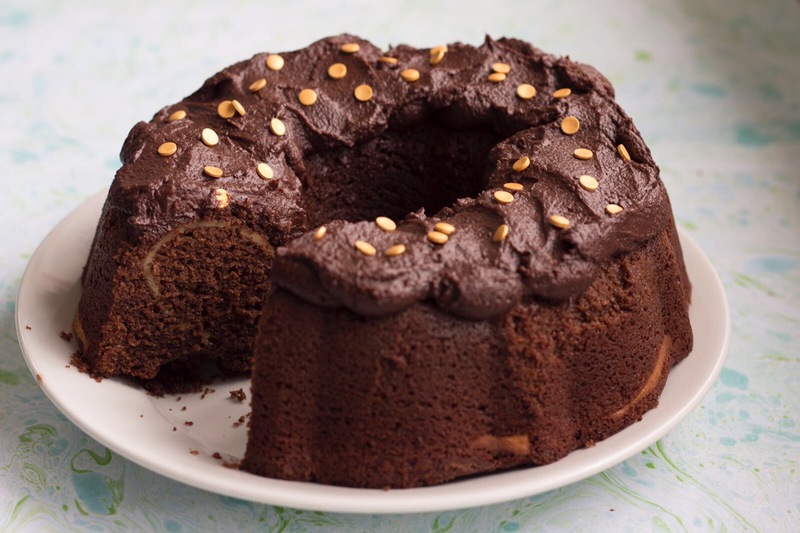 Due to the popularity of my Cheesecake Brownies I decided to make your diets that much harder by bringing you the Chocolate Cheesecake Bundt cake. Well, its International Happiness Day afterall. 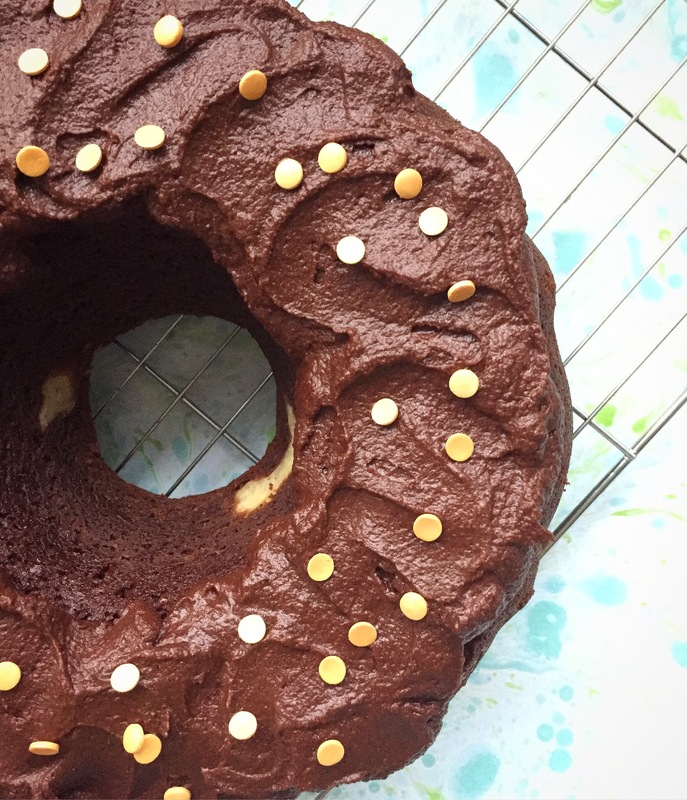 I’ve been testing out some chocolate cake recipes recently as whilst I have my ultimate go to recipe, I wanted to have a little play around and see if there were any tips and tricks that I was missing. I know some people use natural yoghurt or creme fraiche to their cake batter to make it more moist and fudgy and I fell in love with Lorraine Pascale’s recipe which I’ve adapted for the below. The cheesecake mixture which is marbled through the centre of the cake adds a wonderful texture as its dense and adds to the fudginess of the cake. 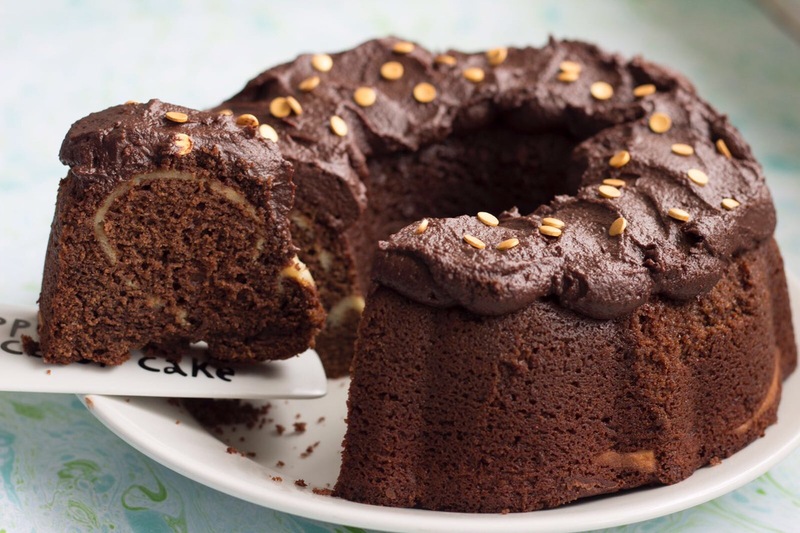 It contrasts beautifully to the light chocolate sponge and it turns this cake into a real little show stopper despite the fact its really easy to make. I recently topped mine with a rich chocolate buttercream (as pictured) but you can go one stop further by adding a cream cheese frosting or even a chocolate one which is a-mazing. I hope you enjoy this recipe as much as I did, it vanished so quickly in our house because it is dangerously moreish. Absolutely love the idea of this!